Stan Wawrinka got a stiff test from French qualifier and ATP Next Gen player Ugo Humbert in the second round of the U.S. Open on Wednesday, but pulled through 7-6(5), 4-6, 6-3, 7-5 to advance to round three. 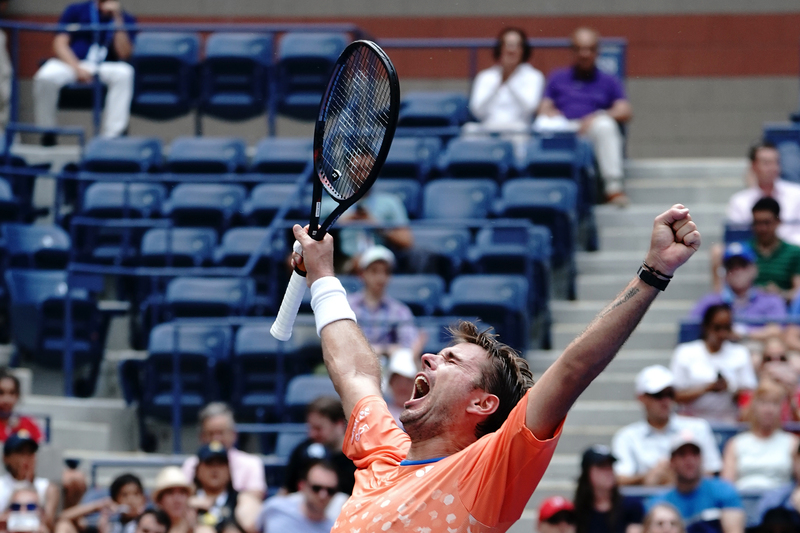 Wawrinka, who won the title in Flushing Meadows in 2016, but did not play last year, took the opening set tie-breaker before Humbert leveled the match by winning the second set. As he was walking to his bench after the second set, Wawrinka snapped his racket over his hip in what turned out to be a much needed release of aggression. His championship pedigree shined through in the end, as the two-time major winner was better in the bigger points, and took advantage of some errors from Humbert late in the fourth set to book his spot in the third round. Wawrinka, who knocked out eighth seed Grigor Dimitrov in his opener on Monday, takes on 25th-seeded Milos Raonic of Canada next. Raonic rolled past Frenchman Gilles Simon, 6-3, 6-4, 6-4, holding serve in each of his service games to move through in two hours and six minutes. Also in action on Wednesday, Russian Daniil Medvedev, who recently won the Winston-Salem Open, upset 15th-seed Stefanos Tsitsipas, 6-4, 6-3, 4-6, 6-3, while the 20th seed, Borna Coric, defeated Roberto Carballes Baena. Coric is 2-1 all-time against Medvedev, his most recent win coming in Cincinnati just a few weeks ago.